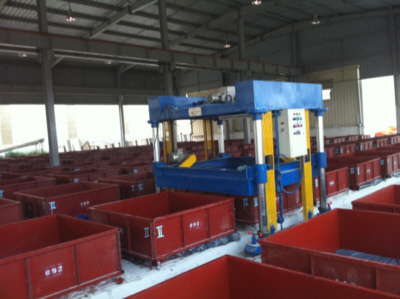 It is possible to build a foamed concrete (CLC) block factory with a high degree of automation that will enable blocks to be made more efficiently with lower labour costs. 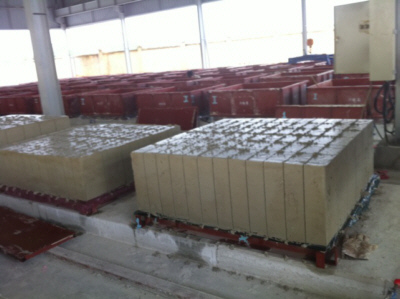 We can supply a block factory designed with an output of 20m³ to 900m³ of foamed concrete blocks per day. 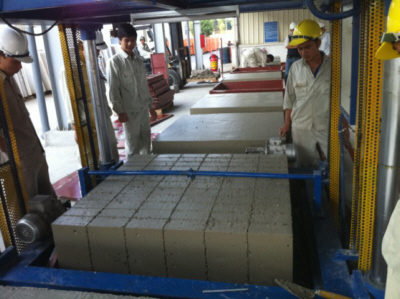 We can also supply cutting machines which can quickly cut a large block of foamed concrete into smaller blocks. See below for the wire cutting machine specifcations. Casting large blocks and cutting them is much less labour intensive and therefore more cost effective than using battery moulds. 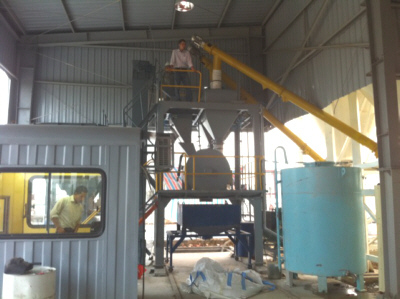 Through use of additional moulds, the cutting machine can also cut foamed concrete into hollow-core, interlocking pre-cast panels. Uses only electric drive 380V-400V / 50Hz / 3 phase. 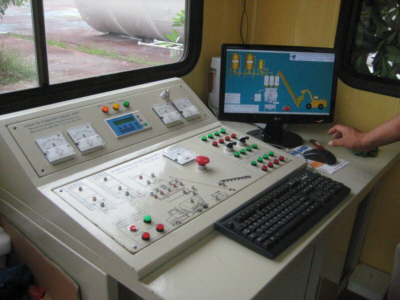 As well as the automated block cutting machine, we can supply the batching plant, mixer, foam generator, foaming agent and moulds necessary for making foamed concrete blocks. 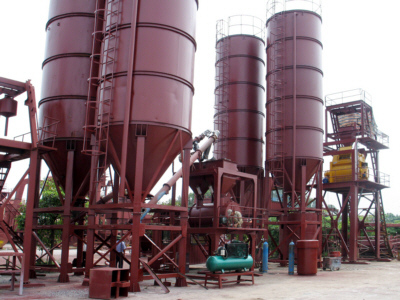 For more detailed information about building a foamed concrete block factory please contact us.